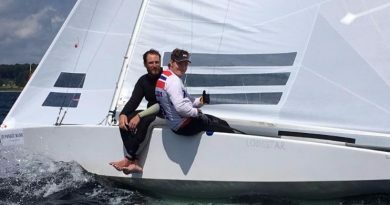 As the charity moves into its fifth year, the Star Sailors League, right after its fifth SSL Finals in Nassau – Bahamas, were keen to show their support for the Foundationby raising awareness of the amazing work that is currently taking place around the globe, and help to raise funds. This will allow the ASF to continue to increase and inspire participation and improve lives, all in Bart’s name. The Andrew Simpson Foundation (ASF) was founded in memory of, and inspired by, Olympic Gold medallist sailor Andrew ‚Bart‘ Simpson. The Founding trustees are Sir Ben Ainslie, Iain Percy OBE and Andrew’s wife Leah. The ASF honours the life and legacy of a sailor who was passionate about encouraging and helping others to fulfil their aims. Its simple objective is to „inspire the next generation“ by using sailing to improve the lives of young people across the world. Introducing young people (aged 9-13) to the sport of sailing (who financially would not be able to afford it) and providing routes to regular participation. Giving young people, who would not be able to afford it, the opportunity for regular participation, sailing qualification’s and life skills development. Young people, who would not be able to afford it, are provided with ongoing race coaching and regatta support. Young and physically or mentally disabled children are provided with the opportunity to regularly attend sailing sessions and experience the physical and mental wellbeing benefits of being on the water. Children, aged 9-13, who are at risk of obesity are being offered regular sailing sessions to improve their physical health. They are also provided with exercise and nutritional advice and support. Young people, aged 14-16 and who would not be able to afford it, are given the opportunity to train up to Dinghy Instructor standard. They then volunteer to help teach and inspire the next generation at their clubs. They are also taught key life and personal skills throughout the two-year programme. Providing vulnerable young people, who are in school exclusion units, with the opportunity to attend regular sail training sessions (as part of a 5-year programme), raise their aspirations and gain marine qualification that provide a route to employment in the marine sector. 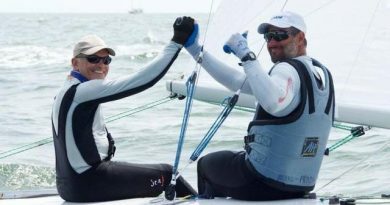 At the initiative of the world’s best sailors, an international circuit of regattas for the promotion of sailing athletes was launched in January 2013. 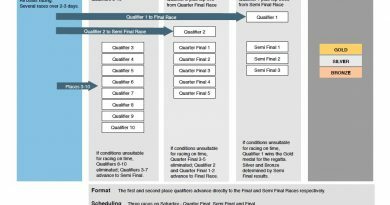 Under the name of „Star Sailors League“ (SSL), the event comprises all the regattas contested in the Star Class (200 per year) and proposes a unified world Ranking modelled on the ATP World Tour created by tennis players in 1972. Like in tennis, the SSL distributes prize money to its athletes and plans to organise four Grand Slams and one Grand Final by the years 2020-2022. Since 2013, the growing concept has already seen five SSL Finals of one Finals, one SSL Lake Grand Slam, one SSL City Grand Slam and supported a traditional format regatta at the Bacardi Cup.